India is a very big country, every year millions of tourists visit India just to get relax and find the true meaning of happiness. We all know that India is a land of diversity, different cultures, regions and religions. Foreigners as well as the locals, love to visit forts, monuments having a deep history and places where they can spend their time in peace. Although it is very tough for anyone to list down top 10 best tourist places in India but we have tried our best to compile a list of most visited Indian tourist destinations. Let’s have a look at the best and famous tourist places in India. Undoubtedly, the place that tops the list of best tourist places in India is none other than the symbol of love, Taj Mahal. 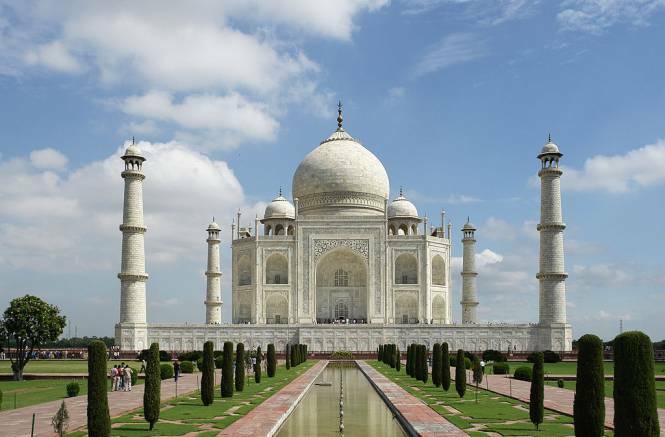 Taj Mahal is a beautiful ivory-white marble mausoleum built on the south bank of the Yamuna river, Agra. It was built by the Mughal emperor, Shah Jahan in loving memory of his favourite wife, Mumtaz Mahal. Every year an estimated 10 million visitors visit this symbol of love, Taj Mahal. It is the most famous monument among Indians as well as foreigners. The Gateway of India is the place where the Viceroys and Governers used to land upon their arrival in India during the British Era. The monument was built in Indo-Saracenic style during the 20th century in Mumbai, Maharashtra. 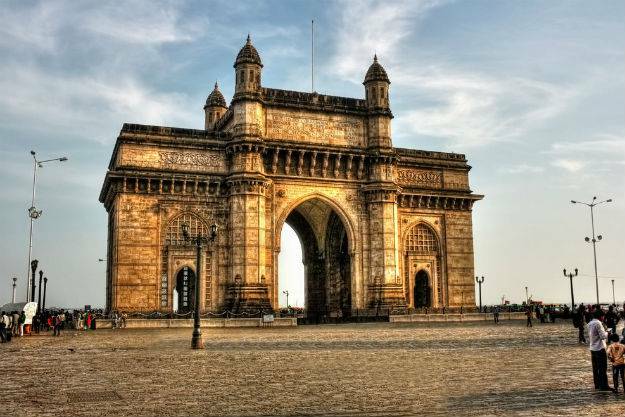 The Gateway of India now serves as a “monumental memento” of British colonial rule over India. The place is among the most famous tourist places in India because of its heritage values. India Gate in New Delhi is yet another famous monument located astride the Rajpath, New Delhi. Basically, it’s a war memorial standing at the centre of New Delhi and was built between 1921-1931. Millions of tourists visit the place as it is very popular especially among the local tourists. Surrounding the imposing structure is a large expanse of lush green lawns, which is a popular picnic spot. Next on our list of best tourist places in India is a very sacred and religious place. 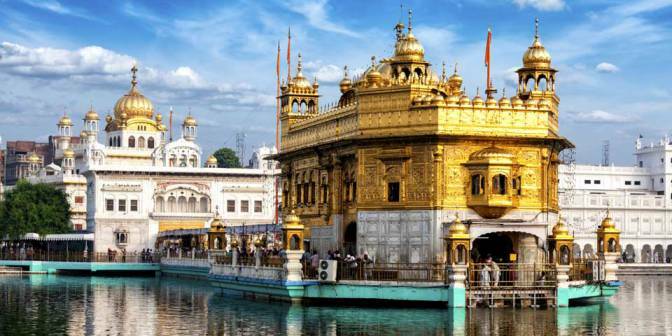 Also, called as Golden temple, Harmandir Sahib is the holiest Gurudwara of Sikhism, located in Amritsar, Punjab. If you are looking for inner peace, then you must visit this adobe of God’s spiritual attribute. One more interesting fact about the place is that Harmandir Sahib is the house of the World’s largest Soup Kitchen and serve free food for up to 100,000-300,000 people every day. This holy place is visited by the millions of locals as well as foreigners who are looking for spirituality. Related: Top 10 Religious Places In India That You Must Visit For Inner Peace. 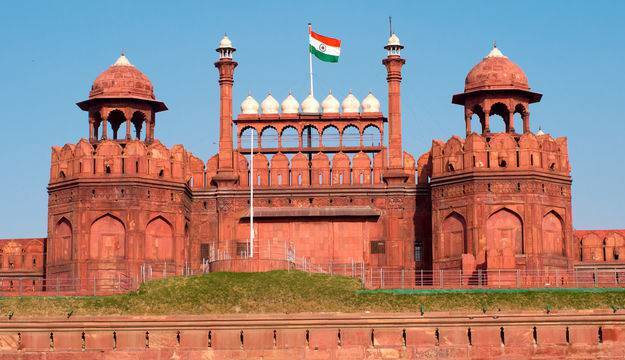 The Red Fort is the largest monument in Delhi and is also one of its most popular tourist destinations attracting thousands of visitors every year. It was the residence of the Mughal emperor for nearly 200 years. This monument is of great significance to the Indian people as every year Prime Minister of India hoists the national flag at the Red Fort on India’s Independence Day. Next on our list of famous of tourist places in India is a soaring, 73 m-high tower of victory, Qutb Minar. The tower is not only one of the finest monuments in India but also in the world. It is one of the favourite spots of the local Delhi people. 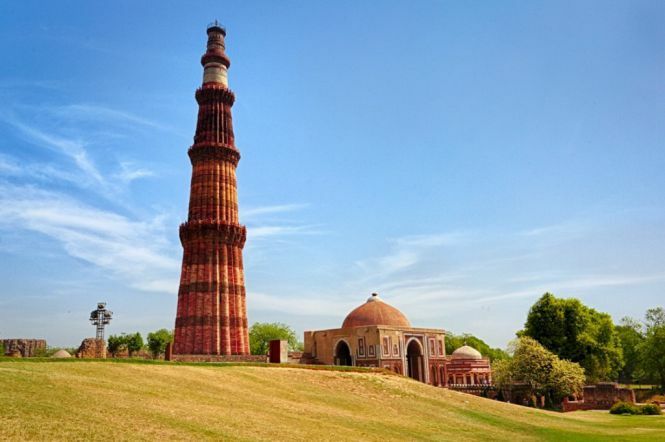 Qutb Minar is surrounded by several historically significant monuments, which are historically connected with the tower and are part of the Qutb complex. 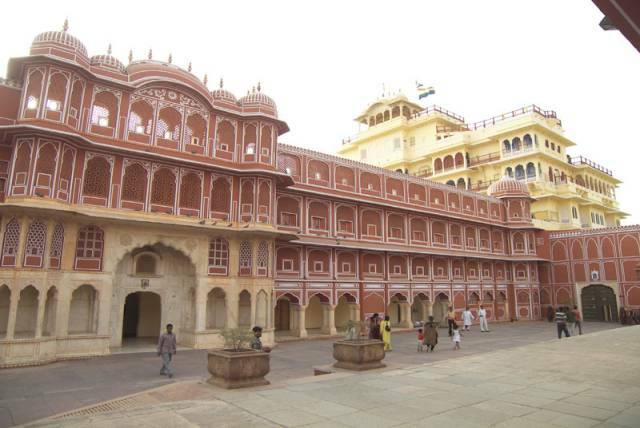 A complex of courtyards, gardens and buildings, the beautiful City Palace is located in Jaipur, Rajasthan. It lies in the heart of old Jaipur city and was built between 1729 and 1732. The architects at the impressive palace are a result of a fusion of Shilpa Shastra of Indian architecture with Rajput, Mughal and European styles of architecture. It is one of the most prominent and most visited structures in the whole country. 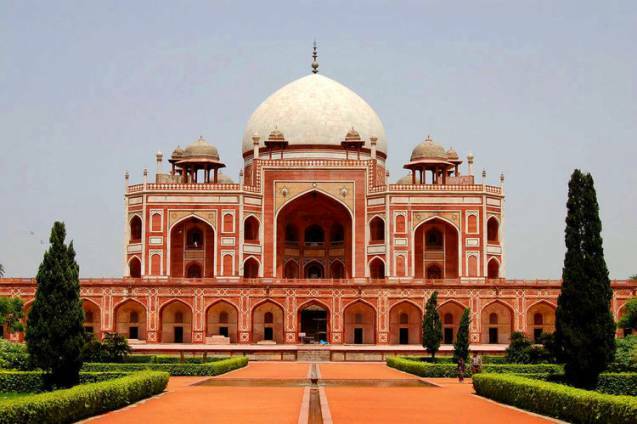 Humayun’s tomb is one of the most magnificent tombs built in Delhi during the Mughal Empire. It reminds rather of a luxurious palace than a tomb. Humayun’s tomb is also one of the oldest structures in the country and has been picked as one of the best tourist places in India several times. The tomb’s architecture is strongly influenced by Persian architecture and it’s a must-see place if you are visiting Delhi anytime soon. No doubt Akshardham is listed as one of the top 10 tourist places in India because of so many people visiting this place every year. The place is one of the most recognised Hindu Mandir in India. Akshardham Temple or Swaminarayan Akshardham displays millennia of traditional Hindu and Indian culture, spirituality, and architecture. The place also has a Guinness World Record to its name as the World’s Largest Comprehensive Hindu Temple. Moreover, the temple attracts more than 70% of all tourists who visits Delhi. The last place on this list of top 10 tourist places in India is Mysore Palace which is located at the heart Mysore city, Karnataka. The palace is one of the biggest structures one can ever see in his life. 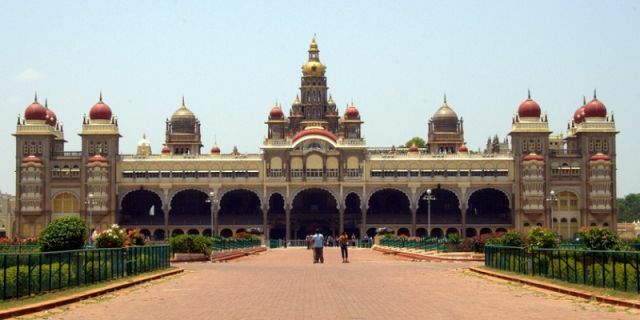 Mysore Palace officially became the most famous tourist attractions in India, after the Taj Mahal, and has more than 6 million visitors annually. One of the interesting stories related to its history is that the last rulers of the Mysore Palace were cursed. Also, let us know if you have already visited any of these top 10 best and famous tourist places in India. If you liked this post, share this post with your friends and family.